From my age of one to ten, my family lived in an old cottage in a South Oxfordshire village. For various reasons, such as the remote location and no transport, my mother was not happy there, so in 1971, when we moved to an almost brand new house in a town, she was so happy and said that she would never again live in an old cottage. Over the years we moved as a family several times and then as each of their children left home, my parents moved a few more. The houses though were never too old, mostly quite new. In 1999 my parents were looking for a new home. 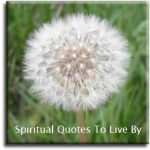 One evening I went with my mother to a Spiritualist meeting where she was told by a medium (who knew nothing about the house-hunting) that she would soon find the perfect home, and she'd know it was the one by the public telephone on the grass verge outside. It wasn't long after this, that what seemed by chance, they were told of a house available. On going to view the property, my father loved it, especially as it was so close to the golf course! But my mother didn't like it because it was an old cottage, on the positive side for her though, it had a large 'blank' garden for her to develop. However, she did notice that on the grass verge outside the cottage was a public telephone, so she agreed to give it a go and move there, under the condition that if she wasn't happy in a couple of years, they would move on. After making some alterations, my parents moved into the cottage at the beginning of 2000. They were very happy there and especially loved the summer months spent in the garden which they both worked on. My father keeping the grass cut and growing vegetables and my mother created a beautiful cottage garden full of colourful flowers and several trees. In 2013 my parents (in their late 70's) had made the decision to move to a smaller home because the cottage had a difficult spiral staircase and was a lot of work to keep up. They loved it there, but wanted to make the move while they were able to and not leave it until they 'had' to. At that time I was living with my son, next door to one of my daughters and family. We had no thoughts of moving at all, but within a couple of days my parents unexpectedly made a quick decision to move and my daughter was offered another home due to being overcrowded. 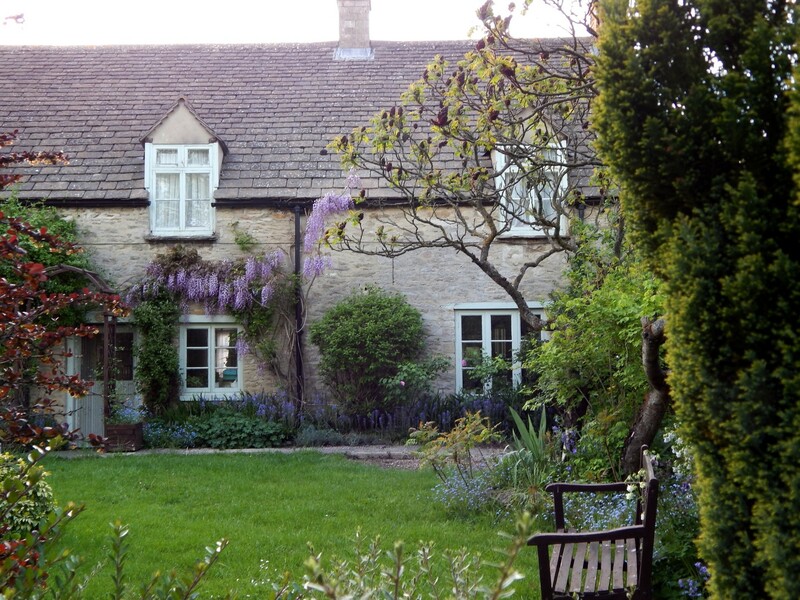 Although my daughter turned down the house, I realised that it wouldn't be too long before they moved out and the idea of moving into my parents cottage first came to me. There were so many hurdles to overcome for my son and I to get the cottage, and in the world of reality it would not happen, but I knew that with the law of attraction I just had to keep positive and make all the 'moves' and let go of any issues or problems that might arise. So, I began packing and making plans to move, not worrying when things seemed to not be working out, knowing that if it is meant to happen it will. Lo and behold, it all worked out and we moved in a few weeks after my parents moved out. My mother spent years saying that she would never live in an old cottage, so 'focusing' on an old cottage, she brought it into her experience, but because she was given a sign from Spirit, she was open to letting go of this thought, once she'd attracted the experience. Talking to her recently about all the different homes she has lived in, her happiest years were in this cottage. It was also a lot easier for her to leave it because she can still visit. The time that I had spent appreciating and enjoying the beauty of this home, enabled me to bring it into my experience, even though (without going into details) there were many things that should not have worked out. 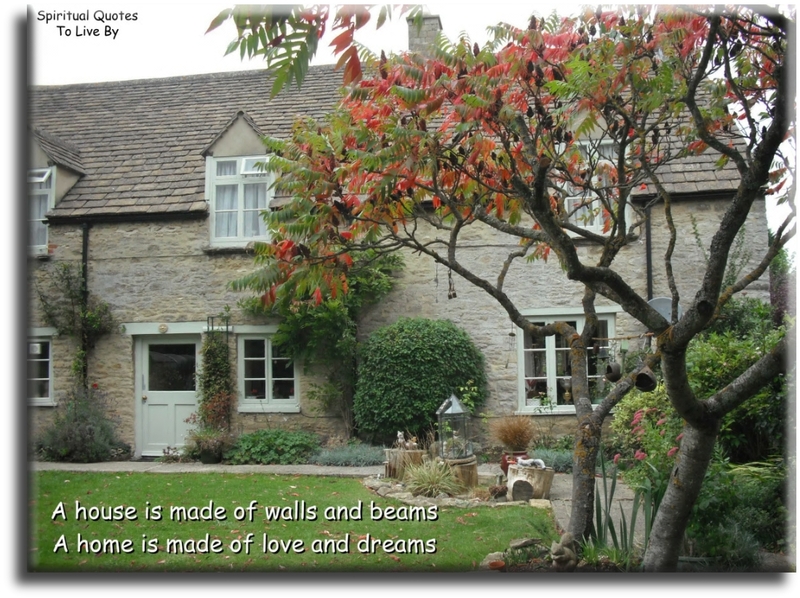 The house has extremely thick walls and loads of old beams, but became my home with love and dreams!